April Fools’ Day 2019: Did You Know April 1 Has a Connection to Holi? Here’s the History, Origin and Everything Else You Must Know! While we all celebrate April Fools' Day as a day of pranking and merrymaking, did you also know Holi aka the festival of colours is also associated with April Fools' Day? The unlikely connection between April Fools' Day and the Hindu festival may come as a surprise. On April Fools' Day, all the pranksters crawl out of the woodwork, looking for fresh victims to torment. On this day, people become more wary of each other as seasoned troublemakers try out innovative pranks. After all, it's one time of the year when all sorts of mischief are pardoned. Ever wondered why do we give free rein to pranksters on April Fools' Day? It has a lot to do with history. One of the most popular "holidays" of all times, April Fools' Day has many origin stories, including a connection with the Indian festival Holi. 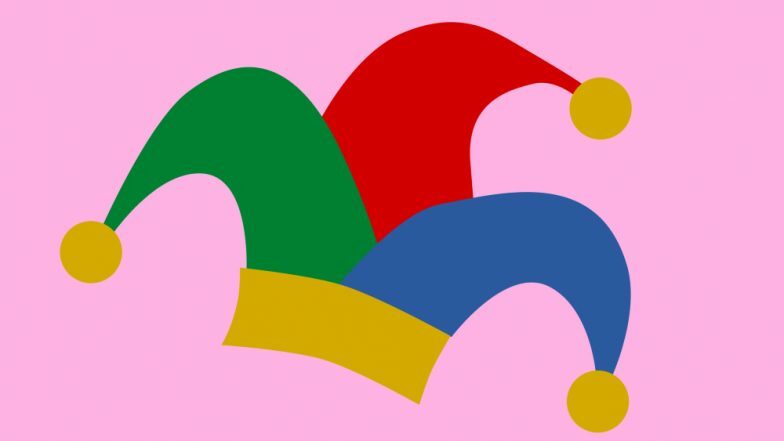 Here's the real truth about April Fools' Day or All Fools' Day you didn't know about. Best April Fools' Day 2019 Pranks: Unique and New Ideas to Trick Your Friends, Family or Colleagues on April 1. The Gregorian Calendar, the most widely used civil calendar of the world till the present age, was invented by Pope Gregory XIII in 1582. Before the Gregorian Calendar was introduced, the world followed the Julian Calendar of Julius Caesar, which wasn't in sync with the solar cycle. The New Year was celebrated every year on April 1 according to the old calendar, which was shifted to January 1 after the Gregorian Calendar replaced it. But it wasn't easy for people to transition from the old to the new and often forgot that the New Year had been shifted to January. According to History.com, the forgetful ones who celebrated New Year on April 1 were mocked on the day and had paper fish stuck on their backs, indicating that they were fools or "easily hooked." Are You Born on April 1st? You Are Not Alone, Here Are Famous People Born on the Same Day. Many even sent out mock presents to each other and spread hoaxes on the day. Thus began a rather devious tradition. These Lit April 1st Jokes Will Make Your Day If You Love to Prank People. Another theory is that April Fools' Day is celebrated to commemorate one of the most devious acts of the Romans. In the book Popular Antiquities of Great Britain, many historians believe it was the Romans who should be credited with the start of April Fool's Day. April Fools’ Day 2019 Funny Facts That You Must Send As WhatsApp Message to Your Best Friend! The Roman men who wanted to get married approached the neighbouring province of Sabines to look for alliances. But the women were not too keen to move to Rome and rejected the proposal. So the conniving Romans thought of a trick. They started a mock festival in honour of Neptune, the Roman of the sea. The "festival" comprised games, which attracted the attention of the neighbouring kingdoms. When people who took the bait arrived to attend the festival, the Romans kidnapped their daughters and forced them to come to Rome. This mock festival was celebrated on April 1. Some historians believe that the roots of April Fools' Day lay in Hilaria, an ancient Roman festival. Usually celebrated towards the end of March, the festival involves fooling people by wearing disguises. It is believed that the festival of Holi and Hilaria may be related, as both involve merry-making, pranks and revelry. So April Fools' could have an ancient connection with the festival of colours. Coincidentally, it's also a custom to say "Bura na mano; Holi Hain." (Don't take offence; it's Holi!) after pulling a prank on someone on Holi. Another theory is that April Fools' Day is a homage to the seasons that are the ultimate pranksters. End of March and beginning of April marks the advent of spring and the changing seasons. April Fools' Day, it is believed, was started to commemorate the many surprises the seasons bring. All these theories look equally convincing. But there has been no consensus on the same. Whatever be the origin of April Fools', we can all agree that it's a fun time of the year. So be a sport this year and don't sulk if you get pranked. And if you don't have a funny bone, watch out for the pranksters!